In today's modern world, skip hire services have become the most common and preferred alternative by people to handle their waste from commercial, constructional and residential sites. Easy Go Skips Hire is a professional skip hire and clearance service provider throughout E7 Forest Gate and its surrounding location. It is our friendly and effective waste removal solutions that has enabled us to gain such popularity in the market. 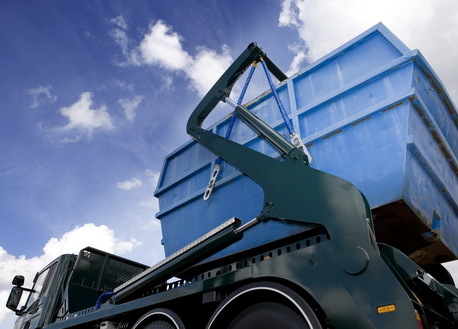 As a reputed waste management and recycling center, we at Easy Go Skips Hire are more than happy to offer our clients in E7 Forest Gate and its surrounding areas with advise that can help them to select the best skips and solution to recycle their products. With years of experience in this field, we offer a wide range of skip sizes that vary from 4, 8, 12, 20, 40 yard roll on and roll off skips and guarantee a reliable and quick service. Residential waste: our skips can be easily hired for residential clearance activities and we dispose them for recycling process or for reuse. Garden waste: we help to maintain your garden and park neatly and collect shrubs, branches and other rubbish away from your garden. Commercial waste: from small business organizations to IT centers, we help to clear electric, electronic waste and dispose unwanted materials away from your office premises. Construction debris: our skips can also be hired to collect debris like waste building products from construction sites and we dispose them in a proper manner. If you wish to book our services or find out more about the company then talk to our representatives and get the best deal!